These are some home decor items we have to compliment our original handpainted Chesapeake ornaments and handcrafted Chesapeake Santas. Bring some Coastal Flavor into your home decor! 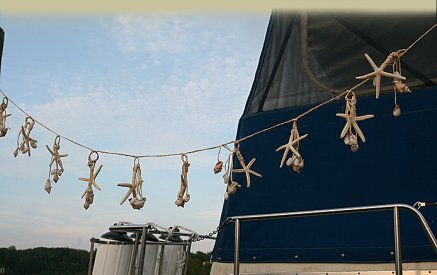 7 ft strand of 10-12" White Starfish Garland. Great coastal statement on draperies, mantel, mirror or just about anywhere!